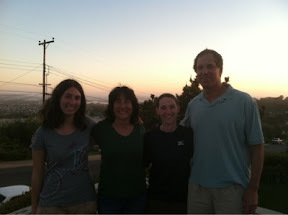 1 day til start date(part 2)…Portland-San Diego-Campo! So this is it! As I sit on my flight to San Diego, I feel surprisingly calm. It’s exciting to look out the window and see all the land I will eventually hike. My base pack weight is officially 16lbs 2oz (which is average for a PCT hiker). With 5 days of food and 2L of water, I’m at 30lbs 8oz. It feels light compared to the 32+lbs I’ve been training with and it will only get lighter each day as I eat my meals. 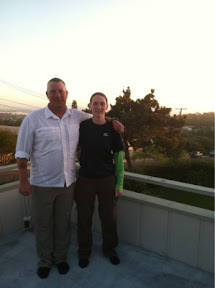 be meeting up with another PCT hiker (Michael from Canada) who has the same start date as me. We will have some time in the city before meeting up with our host family (the Shermans). This is their first year hosting thru hikers. They have been inspired to host after learning about the trail through their daughter’s high school teacher (who is coincidentally part of the famous trail angel duo, Scout and Frodo. The Shermans will be treating me and Michael to a great final home cooked meal. Early Friday morning, we will get a ride to Campo, CA (1.5hrs away) from Scout and Frodo. From the Southern Terminus, we will hike 20mi to Lake Morena and the celebratory kick off weekend. Yay! my iPhone using less quality pictures or video taken from my phone. My goal is to stop in a town every 2-3wks to upload a full slideshow of pics and video from my camera. As for frequency, I don’t know. There may be a stretch where I post daily and then there might be a 5 day gap. It will depend on a combination of my reception along the trail and the intensity of the day.